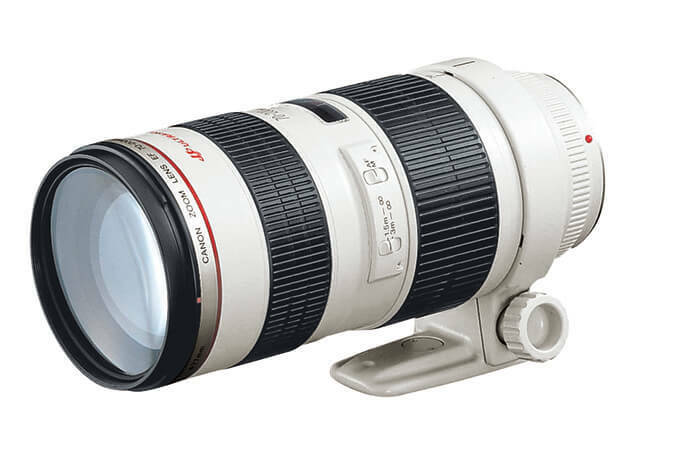 A favourite of professionals, this telephoto zoom lens is comparable to a single focal length lens. 4 UD glass elements correct chromatic aberrations. Constant f/2.8 max. aperture. Superb image quality. Extender EF 1.4x II and 2x II compatible. Max. diameter x length, weight: ø 84.6 x 193.6 mm, 1,310 g/ 3.3” x 7.6”, 2.9 lbs.